Life in the urban chaos can be quite suffocating, despite the many luxuries it comes with. This is why it is important to take a break and connect with nature from time to time. One of the best ways to do so is visiting the national parks. These parks are full of biodiversity and scenic views. These parks let you breathe fresh air and let you explore the nature and wildlife closely. Some of the best national parks in India are listed here. This national park is situated in Madhya Pradesh, in the Umaria district. This national park has one of the highest reserves of the Royal Bengal Tiger. Apart from this, there is also a chance of sighting reptiles, leopards, wild boars, langurs, barking deer, Indian bison and other rare birds. In fact, the first white tiger was caught in this area in the year 1951 by Maharaja Martand Singh. The best time to visit this national park is in the months of May to November. 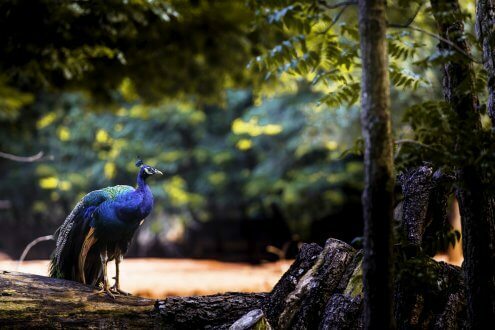 Made famous by the widely read novel, “The Maneaters of Kumaon”, this park in Kumaon, Uttarakhand is the first national park that was established in India. It has maintained its place among the best national parks in India ever since. The park is spread around a wide expanse of 520 sq. km, which is divided into four safari areas. These areas are Bijrani, Durgadevi, Jhirna, and Dhikala. 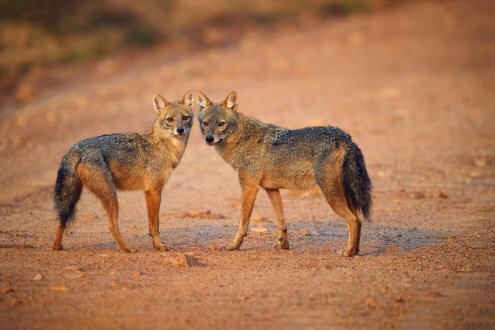 Each of these four areas is replete with not only tigers but other wildlife like leopards, red foxes, jackals, sloth bears, black bears, and many more. The best time to visit this national park is during the months of November to June. 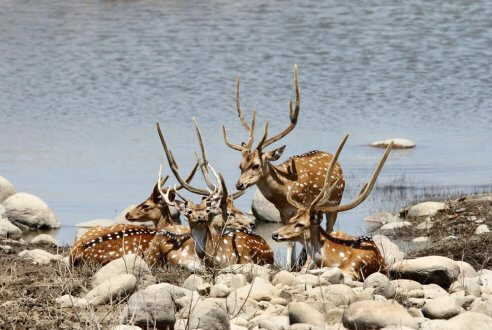 Ranthambore National Park is arguably the most diverse national park in Rajasthan. The park not only gives access to wild tigers, but also to the historical Ranthambore Fort, which has been there since the 10th century. 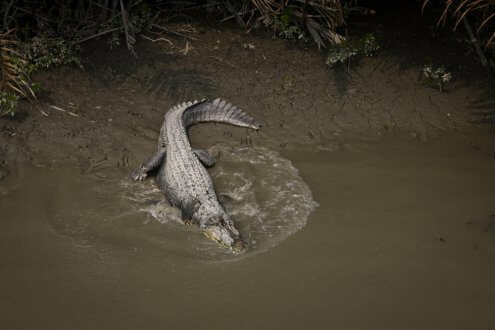 There are also various other attractions in the park like crocodile filled ravines, vines, and ancient hunting pavilions. Thus it is not only one of the best national parks in India, but also an important cultural site. The best time to go to the park is during the months of November to March. The Sunderbans National Park has the highest density of Royal Bengal Tigers in the world. The world’s largest expanse of mangrove forests and its diverse flora and fauna is also a site recognised as a UNESCO world heritage site. While it may be a little difficult to spot a tiger in this park due to their reserved nature, there are other unique wildlife and also rare species of birds. The best time to visit the park is during November to May. But be careful the park has a bad name for man-eating tigers. 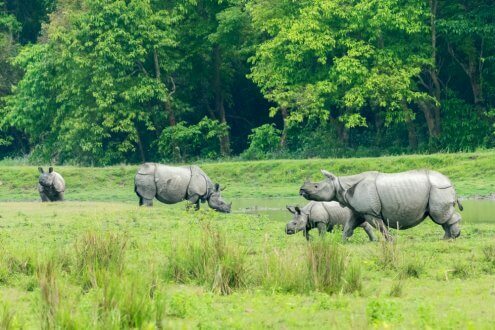 The rhino population in Kaziranga National Park in Assam constitutes roughly two-thirds of the entire rhino population of the world. It is because of this that the park has been named as UNESCO world heritage site. The huge population of rhinos makes this park reach the top tier of best national parks in India. There are over 1800 rhinos in this park, and it is a guarantee that you will see a rhino during your visit here. The park also has a wide number of tigers, water buffaloes, leopards, and swamp deer. The best time to visit the park is the months of November to May. 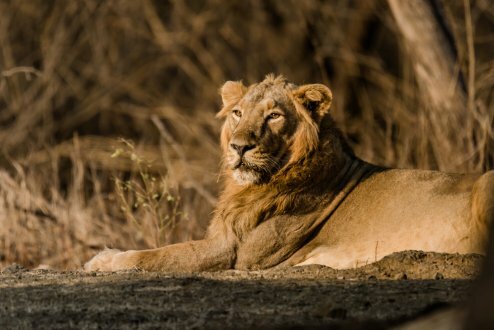 The Gir Forests in Gujrat is one of the best places to find the Asiatic lion in the wild. The park started with a meagre 12 lions in 1990 when it was first being transformed into a sanctuary. However, now the national park hosts about 600 lions making it one of the best national parks in India to spot a lion. 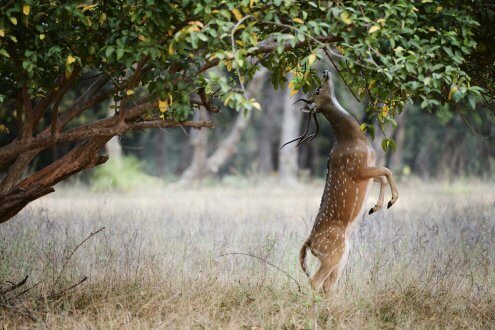 The other exotic animals, which can be spotted in this park include black buck, wild boar, chinkara, and chital. The best time to visit the park is during the months of December to March. 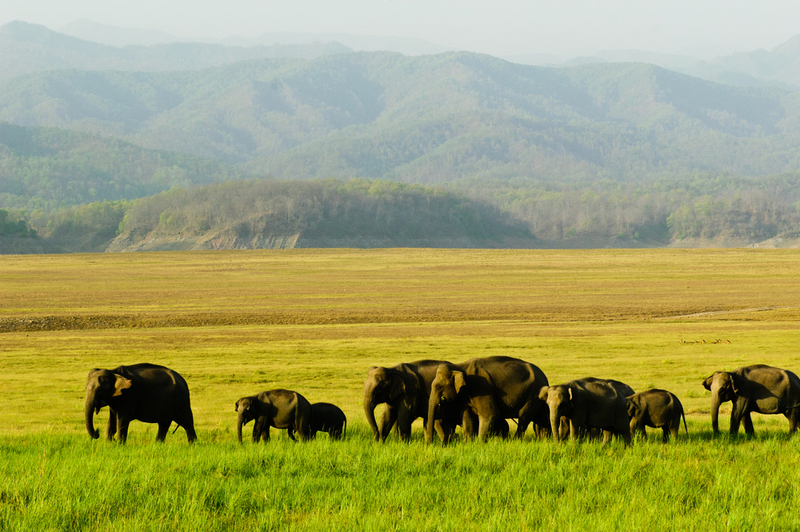 The Mudumalai National Park in Tamil Nadu is not only home to a wide expanse of flora and fauna but also is situated at the foot of the Nilgiri Hills. Wild Malabar squirrels and wild elephants is a common sighting. The park also hosts more than 50 striped Bengal tigers. The park has the highest density of tigers in the country as it is spread around an area of 321 square kilometres. The best time to visit this park is during the months of November to May. 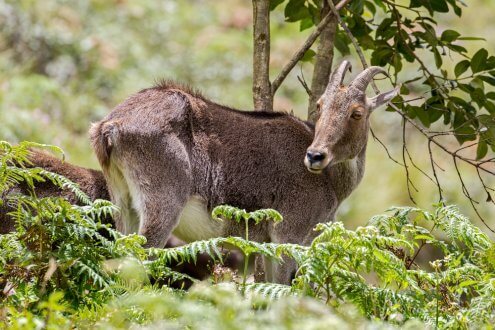 This National Park in the hilly regions of Munnar is home to the endangered species of the Nilgiri Tahr or the Nilgiri ibex. This park was established with the protection of this endangered species in mind. It features among the best national parks in India due to the Neelakurinji that grows here. The Neelakurinji is an exotic plant, which blooms every 12 years. This gives the whole forest a blue hue. The park also is home to the popular Anamudi peak or the highest peak in South India. The other interesting animal, which can be spotted in this national park include elephants, jackals, deer, otters, mongoose and also a lot of species of butterflies and birds. The best time to visit this park is during the months of September to November and April to June. This national park is also the setting of Rudyard Kipling’s popular novel. “The Jungle Book”. 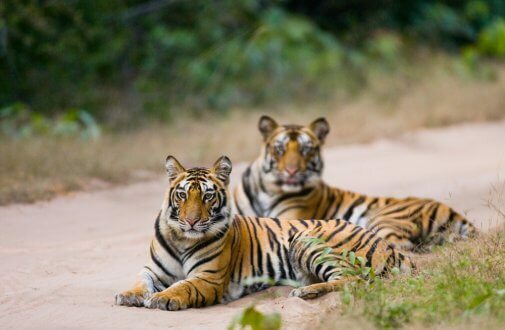 The park has a huge density of royal Bengal tigers, sloth bears, wolf, leopards, and hyenas. The park also provides rafting adventures. The best time to visit this park is during the months of November to May. These are some of the best national parks in India with beautiful wildlife, flora and fauna, aesthetic sceneries along with many adventurous activities to do. They are all incredibly easy to access and provide a lifetime experience to its visitors. It is widely recommended for people who want to escape the hustle of daily life and be near nature. So, plan your trip and make advance bookings to enjoy some of these best national parks in India.